This a community website and we welcome contributions. 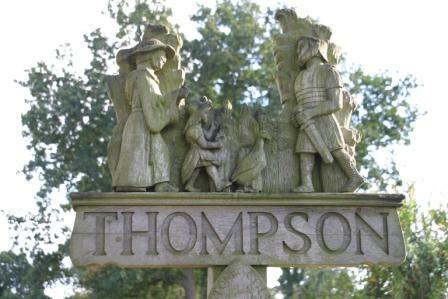 Do you have a good Thompson photo you would like to share? Do you want to advertise a local event? Contact us and we will give your news front page space. Fibre to the property broadband is now available in some parts of Thompson and is already connected and in use in some properties. If you have signed up to receive notification of the service from Openreach as yet notifications do not appear to have been provided so check with your service provider to find out of its availabilityto your property or use the Openreach checker - link below. It is understood that not all service providers have yet made it available - BT have. Another successful litter pick of Thompson and Merton was held on Saturday 3rd November 2018. 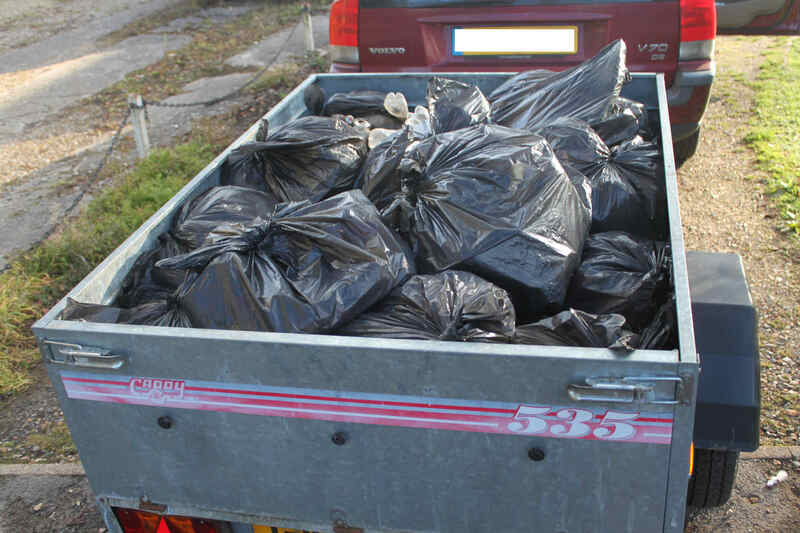 A couple of trailer loads of litter and tipped materials were cleared from the villages. Should you wish to join in with our next litter pick it will be in Spring 2019, please watch out for the date which will be annouced shortly. Result provided by chiptiminguk.co.uk and can also be found on the links below. There was a good turn out for the spring litter pick which unfortunately collected a larger than normal amount of rubbish and fly tipped material from the village and roads leading to the village. The photo's show some of the 3 trailer loads of rubbish collected. You may noticed that the Village Sign is no longer in place, it fell over during the recent windy spell of weather. The sign was erected in 1977 to commemorate the Queen's Silver Jubillee and was repaired in the 90's. In the last few years the Sign was presented for proffessional repair and maintenance but deemed to be beyond repair. It was subsequently re-assembled, oiled and re-instated on the oak pole, which has now failed resulting in further damage to the signed when it impacted with the ground. After some 40 years the ravages of weather and time life coupled with this latest damage mean that a new sign is required. It is estimated that new carved oak sign will cost between £6000 and £9000 and a cast aluminium sign between £4000 and £6000. The lead time once an order is placed is likely to be about 1 year, so please don't expect to see the sign back soon. Fund raising to obtain a replacement is required and to this end the Council is already investigating the possibility of grant aid helping with the cost of a new sign. 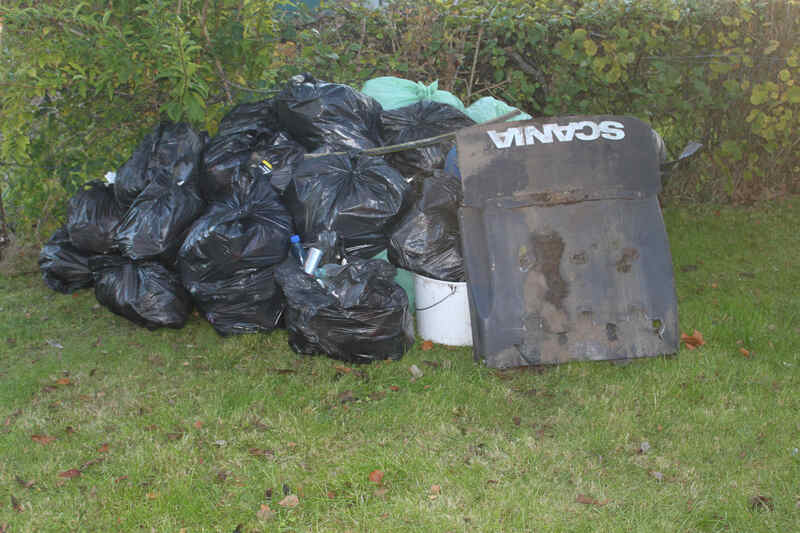 Our Autumn litter pick was well supported, 14 pickers collected all the material in the picture below. The green bags and the clear plastic bags are picked litter and all the other rubbish is fly-tipped material. The problem of fly-tipping is getting worse. If you see fly tipping please report it either on the Breckland fly tipping link or to the Parish Clerk. Stitchers every Wednesday evening from 7:15pm both at the village hall - Novice meets experienced stitchers here - a great place to learn a craft and have a chat and laugh along the way. Thompson WI meets on the 2nd Tuesday of every month except August. 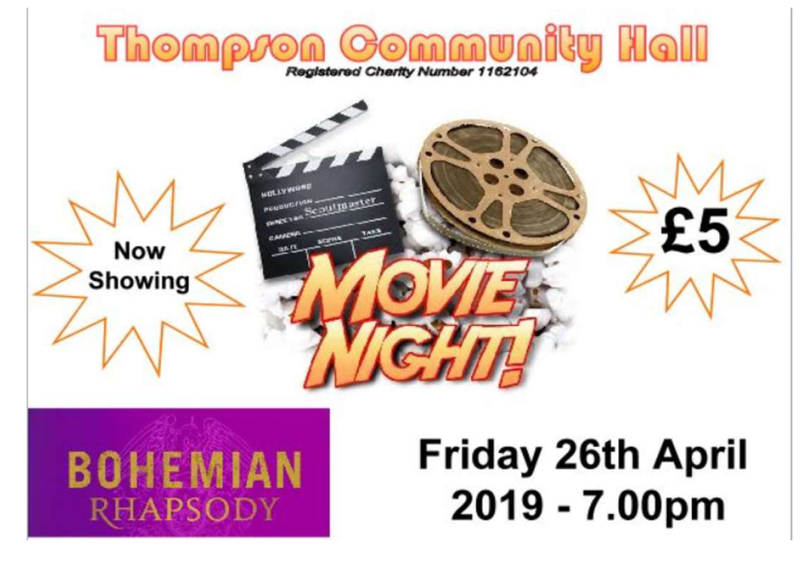 For more information about whats on in Thompson click the events button at the top and bottom of this page.